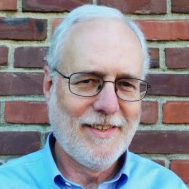 Roger Smith, editor, joined the Center for Health Reporting at the USC Schaeffer Center in 2013 after 35 years as an editor and reporter with the Los Angeles Times. He became national editor of the Times the week after Barack Obama was elected president, and closely supervised coverage of the Affordable Care Act from inception to implementation. For a decade he was editor of the Column One feature on page one, the Times’ premier spot for narrative stories. He also directed coverage of two presidential campaigns and was principal editor on two Pulitzer Prize-winning projects. Before becoming an editor, he reported for the paper’s business and metro sections. He joined the Times from Business Week. He is a graduate of the USC Annenberg School of Journalism. Paul Spitalnic stressed long-term concerns at a briefing of the 2016 Medicare Trustees report.